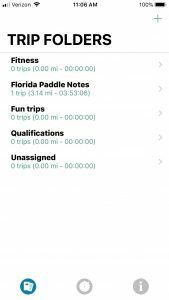 I recently had the opportunity to test another app for my paddling trips. I happened to see this app on some website and decided to try it out. I was currently using Kayaklog, which I really liked, however they are going through some upgrading to the app and this has been causing a lot of errors. Searching the web, I came across Paddle Logger by David Walker. Tracking Enabled has to be chosen or the app will not work correctly without location tracking enabled. I am not sure why this is an option if the app won’t work correctly unless choosing it. I would think it should be the default. 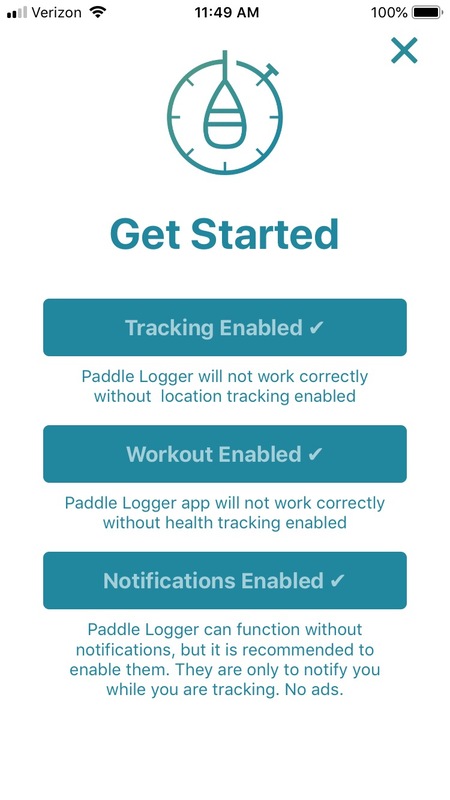 Workout Enabled has to be chosen or the app will not work correctly without health tracking enabled. Again, I am not sure why this is an option if the app won’t work correctly unless choosing it. I would think it should be the default. I didn’t even know what the workout option entails to be able to make this choice. Notifications Enabled does not have to be enabled and thus the only true option out of the three for a correctly working app. It took 3 tries to get the app running and not until I checked all the options despite not even knowing how Workout Enabled even works. 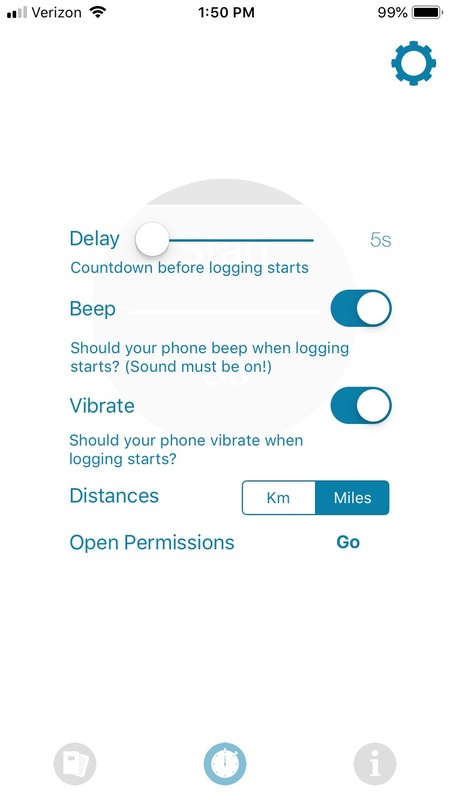 When all preferences are set and you are ready to go, tap the start button and Paddle Logger begins logging your trip. 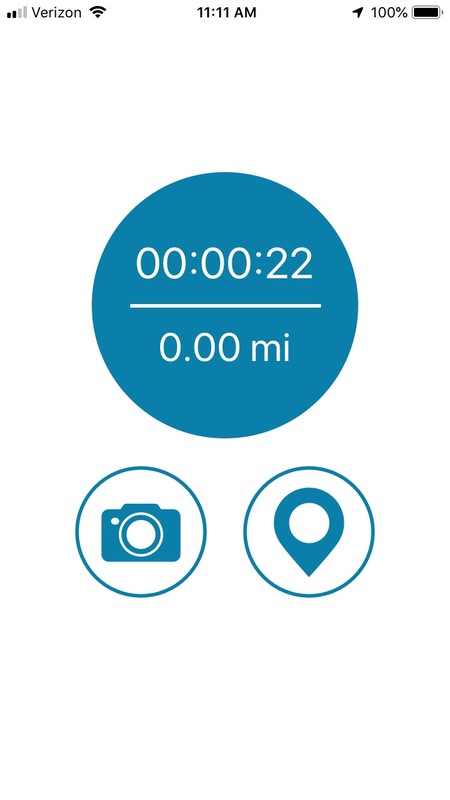 When tapping on the large circle that is recording the duration and distance, you are given three options. 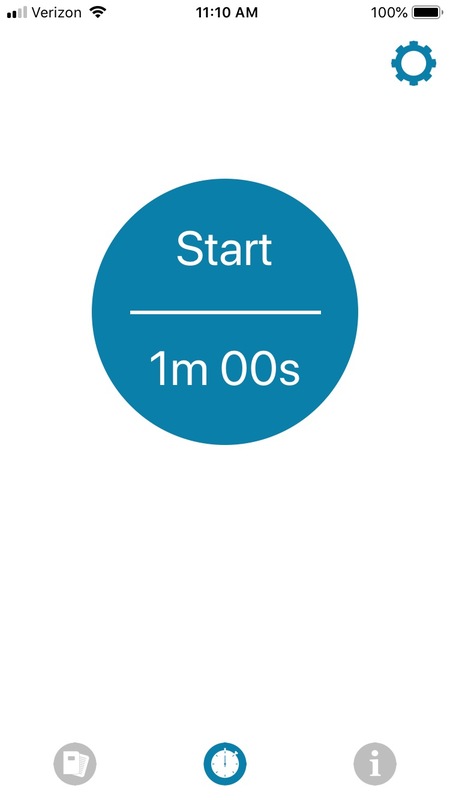 The first option is to pause the session. 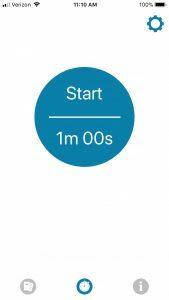 You may have stopped for a break and do not want to include this time in your total paddle time. You are also given the option to end the session. When you end the session the Trip Details Screen will be displayed. See below. If you do not want to pause or end your session the final option is to continue tracking. Folder -This is editable. Name a folder to store this paddle in. There is also an editable section below these statistics called Notes. 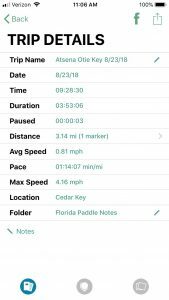 Here you can add any information to help journal your paddle. The lower portion of the Trip Details contains 3 icons. 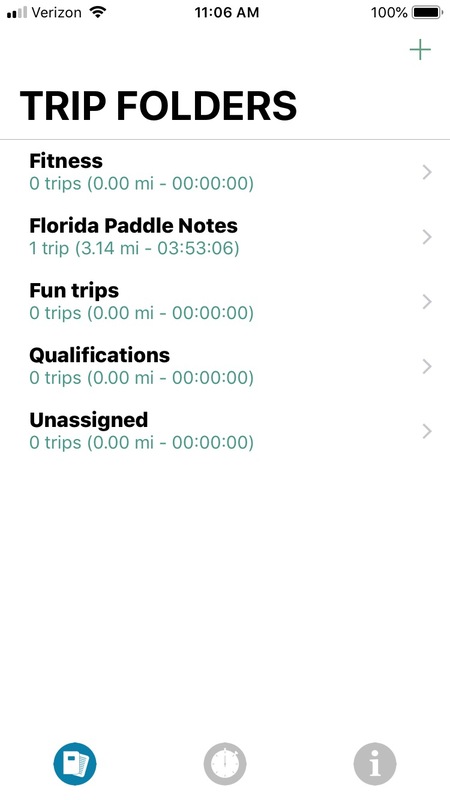 The bottom left is to open the Travel Folders which should be highlighted while viewing your paddle details. 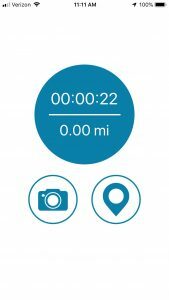 The bottom center Globe icon links to map detailing the paddle and the bottom right photos icon opens a gallery of any photos taken on the paddle, which can be shared. 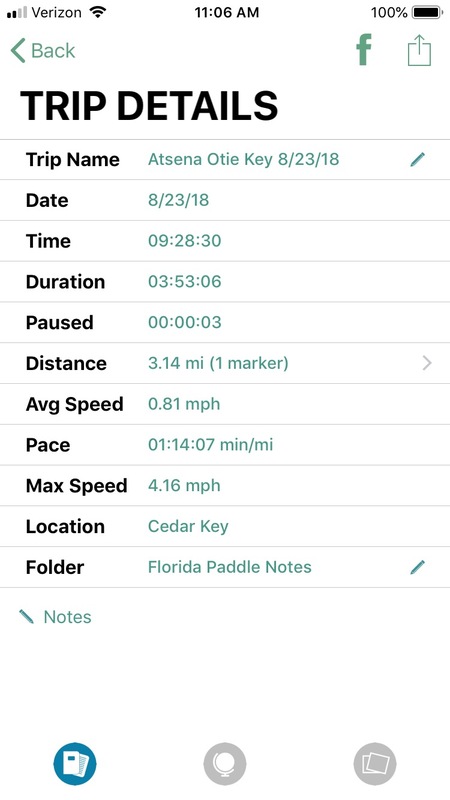 What I do like about the map is the color coding that details the slowest paddle speed through to the fastest paddle speed and shows on the map where these speeds occurred. The map also displays any location markers that were created along the way. As with most maps there is an option to display in plain view or in satellite view. When tapping on any of these folders, a display is opened with a list of paddles placed in that particular folder. As I said, I like this app. 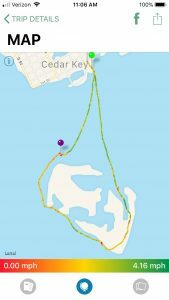 I was impressed with the accuracy on the test run to Atsena Otie Key. Once I became familiar with the app it was very simple to use. 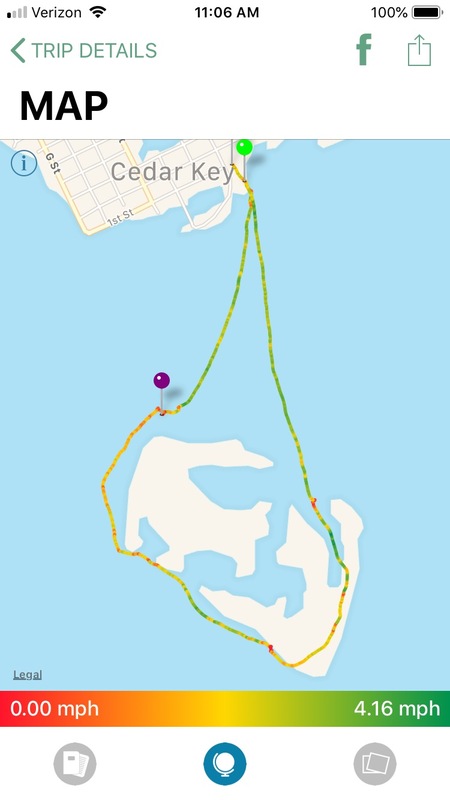 I would like to see some weather information in future updates and perhaps real time directions while paddling. Paddle Logger does cost $ 6.99 which I feel is a good price considering I will be using it quite frequently. Check out the Apple Store Preview page for more in depth information about the description and developer.